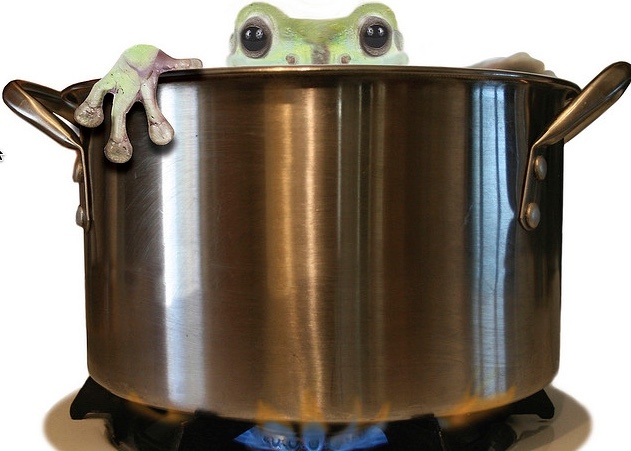 There’s an old anecdote about frogs placed in gradually heated water not recognizing danger until it is too late. It’s often used as a metaphor for people ignoring, say, the growing rumblings of a nearby volcano, steadily melting Arctic ice or, in this case, changing consumer experiences and expectations when it comes to their brand relationships. Let’s be blunt: Like the rest of us, nonprofit leaders have come to expect highly personalized, concierge-style treatment from their favorite commercial brands. Yet when it comes to their own policies and procedures, their constituents and supporters shouldn’t expect that same level of treatment. That’s bad news for an industry that wants to attract, retain, and often monetize a public grown accustomed to customer-friendly practices. Consider the experience you or I have come to expect from most commercial brands. We may be influenced by a friend’s comment on social media; investigate the recommended brand’s website; sign up for a newsletter; receive a special offer; download that offer on our mobile phone; then redeem it at a retail location. Yet despite the complexity of that multichannel journey, we expect to be recognized at every step of that engagement. A failure to do so could lead to alienation or loss of the customer in a marketplace where such expectations are now commonplace. And where does all of this behind-the-scenes magic take place? With data sharing. Silos are torn down; internal goals, measurements, and personnel policies redefined; and individual customer channels and touchpoints made subordinate to the overall customer experience. Contrast this experience – the one you and I experience countless times a year – with the way the nonprofit industry still treats its supporters. Data is hoarded and safeguarded even within the same walls and especially across chapters and affiliates. Organizational metrics and operating silos remain stubbornly resistant to change, meaning one hand of the organization rarely knows what the other is doing. And in the case of large nonprofits, we’re talking about a lot of hands. So why, when the rest of the corporate world recognizes the imperative for data sharing and transparency, is the nonprofit world falling farther behind? In a word, fear. Fear borne out of outdated policies and philosophies that still regard supporter data as the province of whoever collects it first. Meaning that data and channels are deemed more important than the supporter’s experience! For obvious reasons we’re treading into dangerous waters with a public accustomed to a far different level of brand engagement. Take the coveted ‘snowbirder,’ that deep-pocketed donor with the wherewithal not simply to flee colder winter climes but also to donate to national nonprofits and chapters alike. Except that because the chapter and national offices refuse to share that supporter’s data, he’s treated like a stranger by the very same organization to which he recently donated $50,000. We’re talking dead frog here. Smaller and far more common examples of this occur countless times a day across the nonprofit industry. Fortunately, with a few changes that frog not only can be saved but turned into a prince (or at least princely treatment of your supporters). For comparison purposes,it’s worth noting that the commercial brands that have transitioned from channel-centric to customer-centric marketing are going gangbusters. Why? Because they have a wealth of information about each customer that is shared across channels, meaning they can continually refine and improve upon the treatment of that customer – the content, the offers, the asks – with a strong (data-driven) idea of his/her response. Meanwhile, marketers and other stakeholders can work more strategically to nurture and expand that customer relationship in ways that benefit the entire organization. So how does the nonprofit industry transition to this same supporter-friendly model of operations? Happily, this is not an issue of technology. Many if not most of today’s major nonprofit data management systems are capable of embracing a supporter-centric operating model. The key is to develop the will to do it. The alternative is to find yourself in hotter water.